East African heads of state will be required to present their progress reports on the implementation of the Nairobi declaration on refugees at the African Summit that begins on February 10. The declaration, known as the Nairobi Action Plan, was passed in March 2018 and requires host countries to improve access to education for both refugees and host communities, promote self-reliance among refugees by creating opportunities for business, and promote business activities in refugee hosting areas for the benefit of host communities. East Africa will be under close scrutiny, being the host of the highest number of those who have fled their homelands, at 4.9 million. In January, Ethiopia’s parliament passed a law giving the almost one million refugees in the country the right to work and live outside of camps, attend regular schools, formally register births, marriages and deaths, and gain access to financial services such as bank accounts. The country holds Africa’s second largest refugee population after Uganda, with more than 900,000 people — who have fled conflict, drought and persecution in neighbouring countries such as South Sudan, Sudan, Somalia and Eritrea — living in 20 camps across the country. 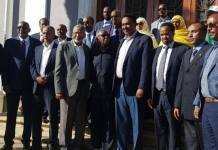 Ethiopia has encouraged self-reliance by making available 10,000 hectares in the eastern region of Ogaden, improved access to gainful employment though industrial parks linking trained students with the labour market, and increased access to education, including university. The new Ethiopian legislation was part of the country’s “Jobs Compact” — a $500 million programme that aims to create 100,000 jobs — 30 per cent of which will be allocated to refugees. Uganda — with 1.1 million refugees — mobilises resources locally and internationally to manage refugee programmes. Uganda has also launched a process of including refugees in the national budgetary allocation for health, education and water. Kenya, with 471,724 refugees mainly from Somalia and South Sudan — 208,633 in Dadaab, 187,349 in Kakuma and 75,742 in Nairobi — committed to enhancing refugees’ self-reliance and inclusion in the country’s economy, and to implement the Guidelines on Admission of Non-Citizens to institutions of basic education and training. 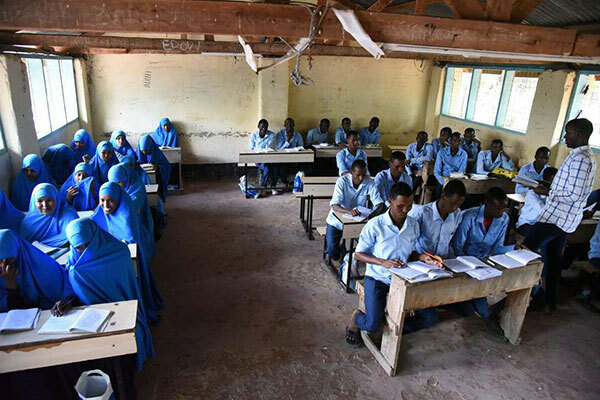 Djibouti, with most of its refugees from Somalia, is leading among the host countries in providing education, while continuing to operate an open door policy that provides more freedom of movement. Mohammed Affey, the United Nations High Commission for Refugees Special Envoy for the Horn, told The EastAfrican that the ultimate challenge is to create conducive conditions inside Somalia to allow the return of 844,000 refugees as well as over two million who are internally displaced. However, the governance systems of many leaders include dictatorship and illegal extension of term limits, which lead to displacement due to persecution and conflict. Second, funding to manage refugees across the region has been lacking. For instance, only four per cent ($6,587,387) of the $170.1 million that the UNHCR requires for its Kenya operations for the 2019 financial year has been realised. Other issues that the leaders will tackle include institutional reforms, which have been spearheaded by Rwanda’s President Paul Kagame, especially on how the continental body can reduce its reliance on donors. In the last summit in July, the AU imposed more stringent consequences for member states that do not pay their dues in full and on time.